This is part 2 of a series on the systemic nature of rheumatoid disease, what’s often called rheumatoid arthritis complications. You can read part 1 here: Systemic Disease with Joint Symptoms. Referring to symptoms of a disease as “complications” is usually a distortion of the facts. I’ve explained before that it is not helpful to talk about parts of rheumatoid disease as if they are rheumatoid arthritis complications. But it’s not really logical either. No one breaks up parts of other things that way. Sap flowing to create maple syrup is not a complication of maple trees; it’s a fundamental part of it. Lasagna is a good model because it has layers. People may think of lasagna as a pasta dish. But no one is surprised when they find meat in the sauce. Or cheese on top. A complication is an unexpected difficulty or obstacle. It is used to say it is an extra symptom, and not one that belongs to other parts of the disease. But this is usually not true with rheumatoid disease (RD). When RD often attacks the neck or the eyes, it is a manifestation of the disease. Saying it is a “complication” is saying that it is unexpected and does not belong to the rest of the RD, which is false. There are many contradictions in life, and we can forgive it when our doctors use this term. But in the media and in medical schools, I will continue to argue that the truth be told. Now, if you’ve found this page because you’re looking for assistance with rheumatoid arthritis complications, let me encourage you. If you are a person living with rheumatoid disease (PRD), you are not alone. Since RD can affect the body in so many ways, you may be tempted to doubt yourself or delay checking into a new symptom. Please remember the tips below and that you are stronger than this vile disease. 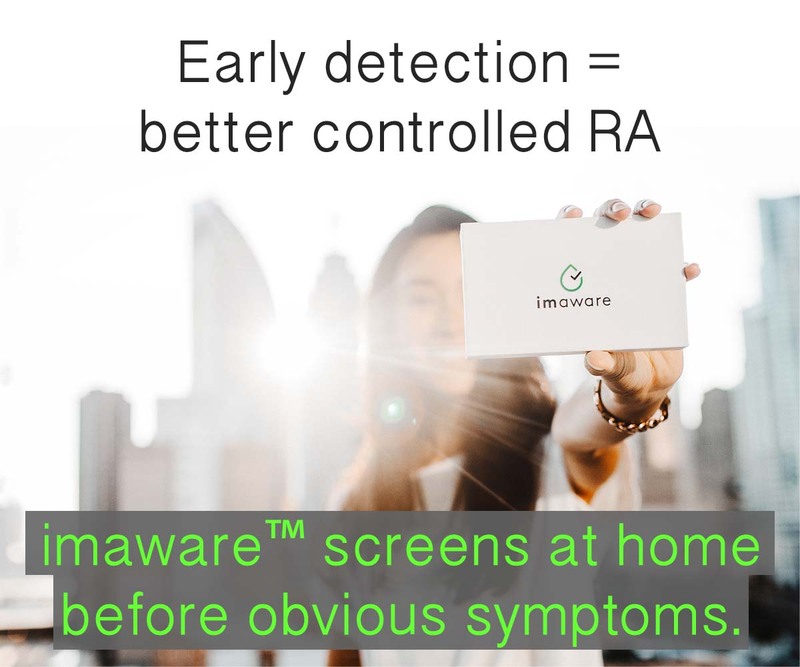 If you are a caregiver or work in medicine, I assure you that many so-called rheumatoid arthritis complications are not rare. The PRD you know are not exaggerating, but likely the opposite. Usually they are concealing symptoms due to fear of realizing how sick they are or fear they won’t be believed. 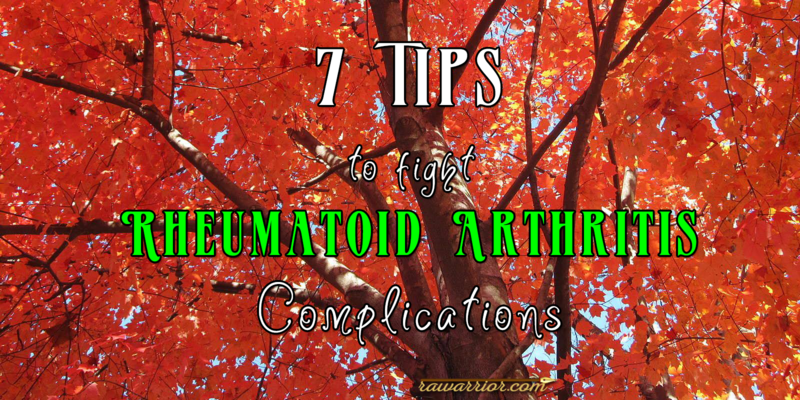 Here are a few strategies I’ve used with rheumatoid arthritis complications. Please share yours in the comment box below for other readers. 1) Keep copies of all reports, lab work, scans, or studies. Yes, it might take boxes! But having copies in hand of significant results can make a difference at a medical appointment. 2) Read up on your conditions or symptoms. Of course you don’t want to be that patient who sounds like she got a mail order medical degree. That won’t happen if you stick to reputable websites and keep your mind open that many things you read won’t apply to you. 3) Hunt through the doctor ratings sites. Reading reviews of doctors and facilities can help you find better care and might save more than time in the end. It’s worth driving twice as far to get a doctor who takes you seriously or staff who treats patients well. 4) Trust your instincts. The list of possible symptoms is very long, and no doctor or website can list them all. If something has changed, that could be a symptom. If it concerns you and it persists, look into it. No one knows more than you about your body. 5) Insist. No one wants to be the squeaky wheel who others get tired of hearing from. We all know the more someone talks about RD, the more it seems they are catastrophizing their illness. But there is no choice if you need help to get a prescription, referral or an order of some kind. To get needed care for rheumatoid arthritis complications, oftentimes, you must insist. 6) Pay attention to the community. You’ve heard that you should bring a list of questions to ask your doctors. True, but you can also ask other patients about their experiences. It’s also useful to just pay attention to discussions even if you don’t comment yourself. So much of what I’ve learned about RD and how to cope with it came from our great community of PRD. 7) Follow through. Whether it’s simply completing a course of antibiotics, doing painful physical therapy, or the eternal one more test, follow through. 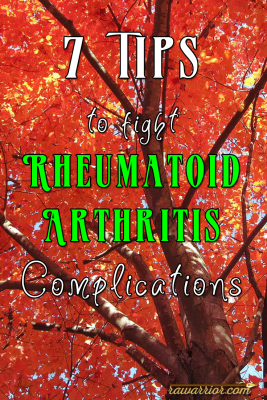 With so many so-called rheumatoid arthritis complications, you might feel like giving up. 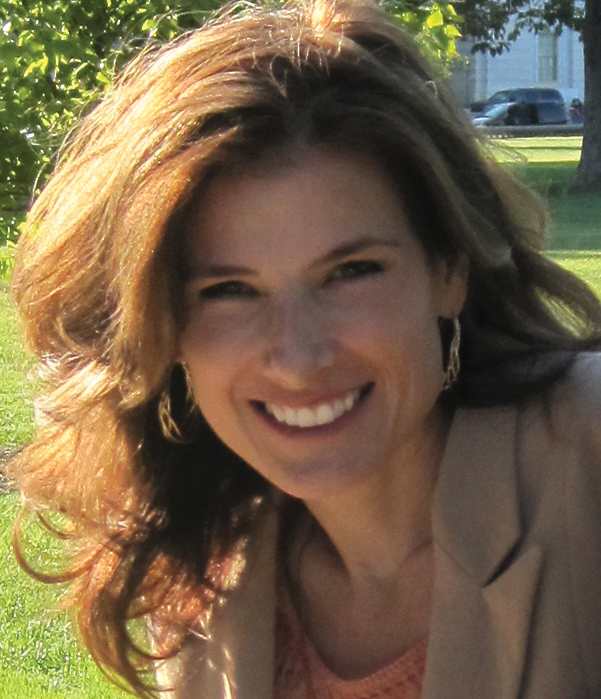 Living with a chronic disease is hard work – annoying, unpaid hard work. What should we say? While I use “rheumatoid arthritis complications” sometimes to help others understand, some better terms are: systemic disease, extra-articular manifestations, or secondary symptoms. Over the years, I’ve liked “secondary” less because arthritis isn’t always primary; people still should be able to be diagnosed if RD has manifested in an extra-articular way as Wes described yesterday. WHAT SO-CALLED RHEUMATOID ARTHRITIS COMPLICATIONS HAVE YOU SEEN IN YOURSELF OR THOSE YOU CARE FOR? WHAT STRATEGIES DO YOU SUGGEST TO ADDRESS THEM? Great article, there are so many “complications” it would take an hour to list them. The one that has affected me most are my eyes. Seven glaucoma surgeries, two glaucoma valves and multiple eye drops everyday. Of course I have mutiple joint pain and am on the usual Xeljanz, Methotrexate, have been through most RD meds, but I have to suggest get your eyes checked every six months. This could save you from permenant blindness which almost happened to me. This disease attacks any vunerable part and the eyes are no exception. Unfortunately the only person I’ve met with this horrible disease treated me like I was incompetent and was exaggerating my condition. I have a hard time asking for assistance cause everyone makes me feel like I’m lying. My rheumatologist seems to be understanding but I only see him every 3 months. I’m in constant discomfort and my rheumatologist just told me that I’m on all the medications to control my Ra symptoms and they don’t know why there not slowing down the progression of this disease. I have multiple symptoms and I don’t feel comfortable seeking medical care when one of my doctors just tells me to ask my other doctors. You are not alone. I have read & had similar experiences with doctors and medications. Try not to get down on yourself – we know you are not exaggerating or incompetent. It is the RD that is extreme, not you. I agree it’s so hard to many to list and then u feel overwhelmed when u do try and list them. My voice is going probably because I work on phones 40 hours but one I would never expect. Kelly I am so glad ur posting again. This has been a great source of information. Your story could be mine. 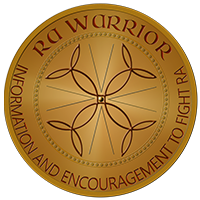 There is a lot of misunderstanding with RA patients because in my case yoy do not see the disease. I have a lot of tendons keep hurting and also I am told that I am on all the medications they can give me. As I grow older it get’s harder to keep the RA under control. Lot of people do not understand why you sometimes are grumpy. The pain Wakes up with me and Goes to sleep with me. I battle it every day of the Year. Still I have to go to work and still I have to manage the household. I work in a hospital 4 days a week as I need the 5th day to chill and load my batteries again to start working again on Mondays.